Yup I’ve got one set to regular 4 string, one to rolled edge and other for if I want to do another color or when I have people helping or hanging out sewing! I’ve never used one! Looks like fun. Praying 2012 will be a great new year for you and your family! Just let me say THANK YOU for all your advice! :) And what a nice surprise to see my name on here this morning! I just wanted to let you know that my parents did in face get me a serger for Christmas! Needless to say, you’ll probably be getting more questions from me! Thank you so much again! Oh my goodness, so buying Sergers is totally addicting!?!? I totally love your advice and am hoping that I get one eventually! Can’t stand it how badly I want one!!! Thanks for sharing at Overflowing with Creativity!!! XO! That’s great advice! I was just asking my neighbor about her serger the other night. I don’t sew enough (yet) to warrant the investment, but I appreciate unbiased recommendations! So happy to have you link up to the Tuesday To Do Party at The Blackberry Vine! I’ve been wanting a serger for so long now- this is great advice! This could be dangerous for all those sewists out there! Thanks for sharing this at my Kiss and Tell linky party!! Great post! Wowzers, you’re amazing with 4 sergers! I am in the market for one, and this was really great advice! Thank you! Thanks for sharing your experiences with servers! I have borrowed my neighbors several times and it is so nice for making quick garments like pj bottoms for my kids. I’m glad to know how happy you are with your model–I’m looking into your Juki model. Very happy to hear that you can get a good serger for under $500!! 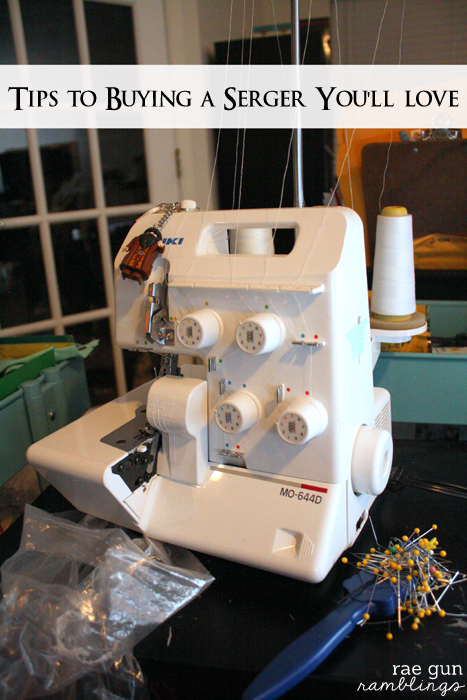 I have had a serger for two years and have been afraid to try to use it-silly, right? Within the past month I have finally gotten over my fear, and now I can’t stop! 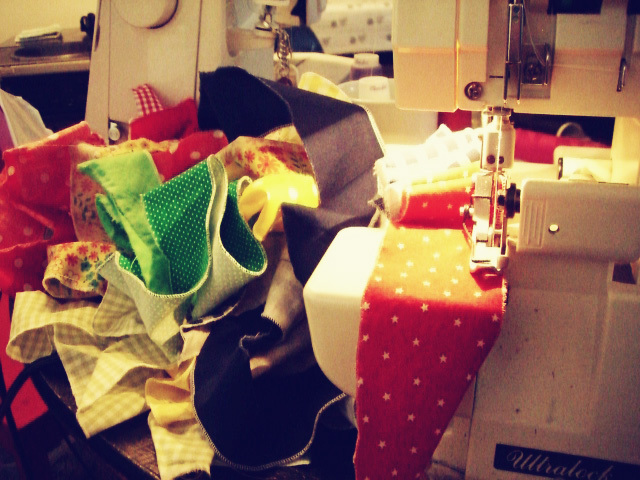 My serger is so much fun that my quilting has temporarily been shoved to the back burner! Check out my recent blogpost about serging: dorothysgranddaughter.blogspot.com . Oh I didn’t know Craftsy had a class that’s awesome. I’ve had good experiences with their classes! 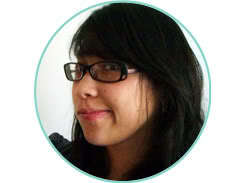 Hi, I enjoyed reading how to purchase a serger. This is a very intimidating choice because there are so many and we don’t want to make a mistake an end up paying for it twice. Great advice and I did order my juki this evening . I heard so many good things about this brand also and purchased on so many good recommendations.. I know that may not be the right way to purchase a serger but it’s a work horse, so, I’m going with it. thank and one more thing. It is a bit hard to read through the grey and white. sorry. I don’t see the point of knocking craigslist.org. it is a buyer beware situation as are all transactions. BTW, i bought a WhiteSuperlock for $100 and a BabyLock Quest for $600 …both on craigslist. Sorry I didn’t mean to bash craigslist. I just meant for someone buying a serger for the first time you want to go somewhere where you know that’s how it’s supposed to work. If you don’t already know what you want and what you’re buying even if they let you test it out with a craigslist buyer you might not catch something wrong AND most of them won’t do returns. For a first time serger buyer I just don’t think it’s worth the risk and not being able to compare different types.